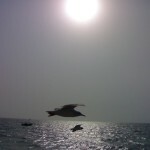 Place to visit Mumbai: Alibaug 1-2 day tour weekend picnic | ..::CHANGE is INEVITABLE::.. Think about one day tour and a lot of fun in Mumbai? Alibaug is a good choice. It a normal budget, full day, full fun and great place. Non-AC ferry, top seat is best way to travel as you can feel the breezing wind and cool waves. 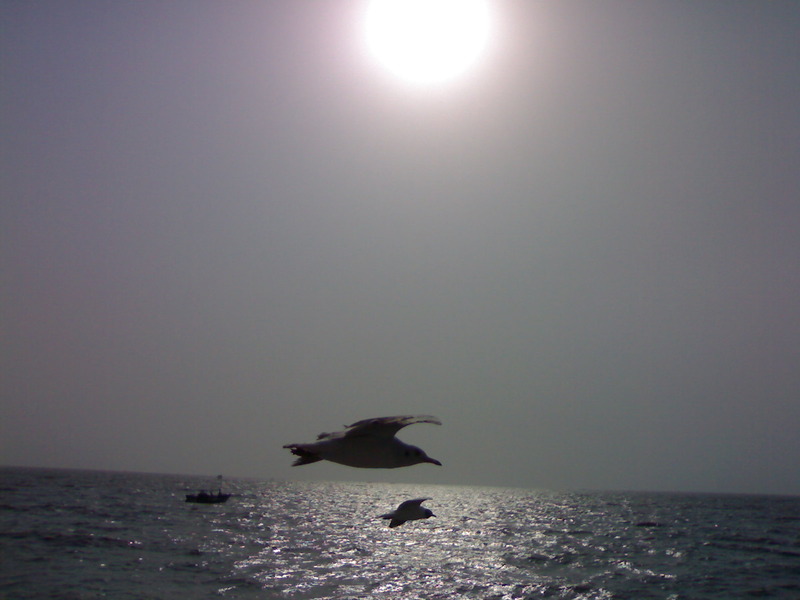 The birds following in the mid-sea to the ship is a different fun to capture them. If you’re over cautious, book tickets for return journey and confirm day’s last jetty. PNP / Ajanta Jetty service offices are near by only. 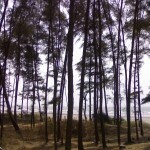 The closest beach is Alibaug beach, walk-able distance from Alibaug bus stand. At Alibaug beach you may have water bike / wave ride, or normal sea-routines. If you’re a fort’oholic, you may choose to visit the Colaba Fort @ 100 Rs / person through a 10 minute boat ride. 1 hr. 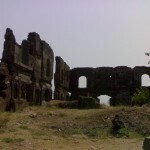 is sufficient to capture all major corners of the fort. I don’t much recommend Alibaug to waste your precious time on. and is really a recommended one. It has nice long beach with all those coconut trees greeting the waves to the shore. If you’re a bunch of crazy guys looking for a place to freak-out, Negaon beach is for you. Football, cricket, Hourse riding or any beaching activity is absolute fun here. I don’t like lazy bums in the gang but they can rest under the shadows on misty sand. Gliding and water rides are of-course available. Hotels / rooms are cheap; food is okay; though these shouldn’t impact as these are not major fun part. You cannot cover everything in one day; nor have I visited all of the attractions there. For 1 day tour, pack a bag and directly reach to Negaon beach. Approx expenditure: <500 Rs / person. By Road: One can reach Alibag via Pen (30 km away), which is on the Mumbai (78 km away) – Goa road. From Mumbai, one can reach Alibag by traveling on the Mumbai-Goa highway (NH-17) till Wadkhal (Vadkhal) and taking the right fork from Wadkal – the left fork will lead you to Goa. The distance is approximately 108 km from Mumbai. By Railways: The nearest rail railway station are Pen, India. 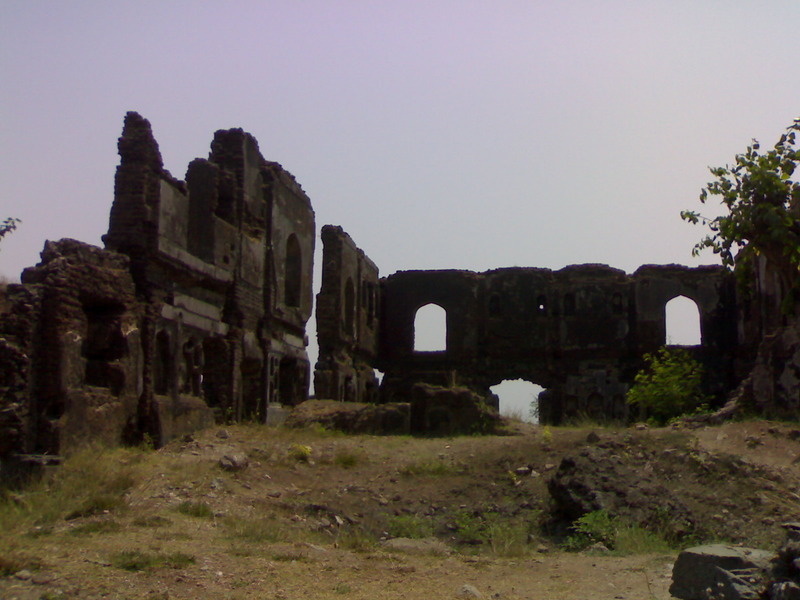 Through Pen, India, it is connected to Khopoli. Varsoli Beach:Located about a mile from the main beach, home to a very large naval base. 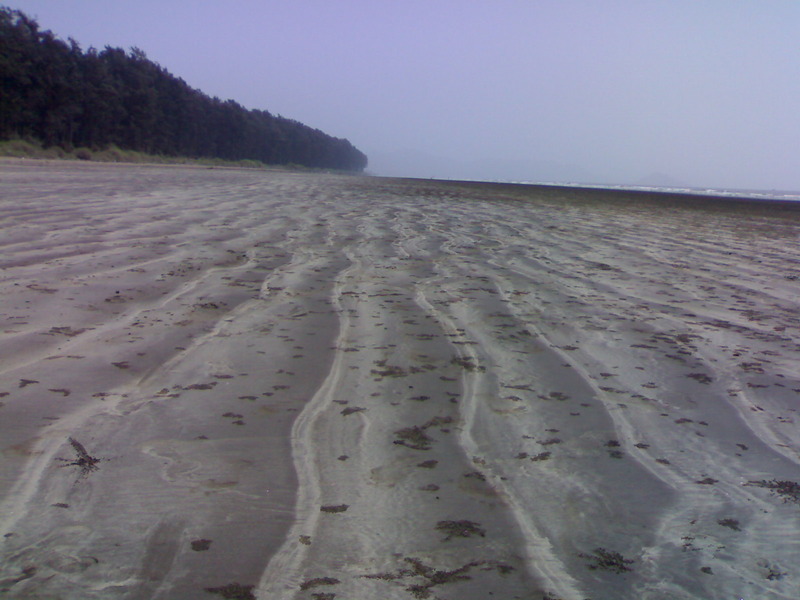 Kihim-Navgaon Beach: Kihim is a secluded place at a distance of 12 km from Alibag. 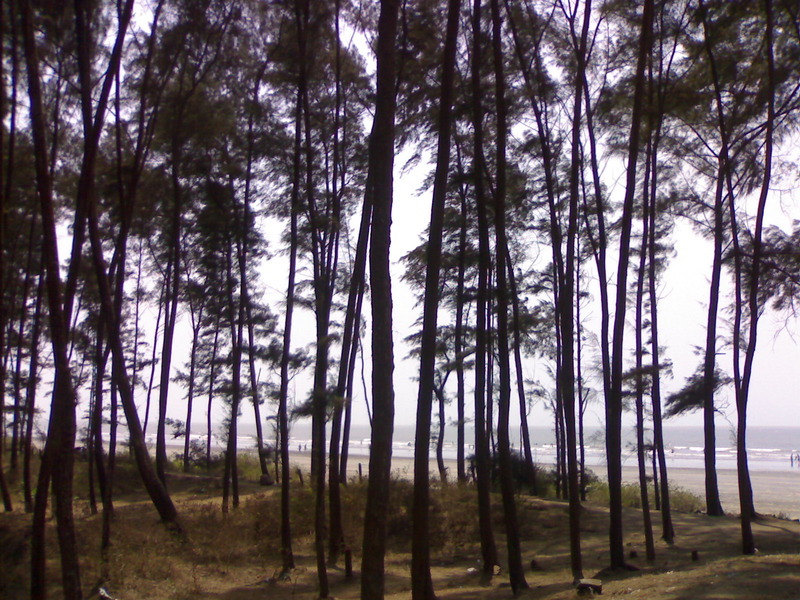 The Kihim beach is famous for dense cover of Coconut trees. It is also famous for woods which are home to rare butterflies, birds and flowers. Awas: It is situated about 16 km away from Alibag. 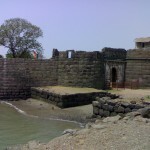 Saswane: It is situated about 18 km away from Alibag. 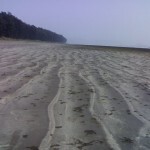 Rewas: It is situated about 24 km away from Alibag. Chaul Revdanda: It is situated about 17 km away from Alibag. kaneshwar Mandir: It is situated about 17 km away from Alibag to karlekhind-chondi road. Mandawa: It is situated about 20 km north of Alibag. The catamaran/ferry services are available from Mumbai to the Mandawa jetty. Many Bollywood celebrities own bungalows here. Kashid Beach: It is 36 km away from Alibag, on the Alibag-Murud highway, also this beach is possibly one of the cleanest and most beautiful beaches in the region with almost ‘white’ sand. Nice post on Alibaug. Quite informative. For Pune I’d like to suggest a place called Loh-Gadhh. It’s beauty and heights are great. I couln’t write in detail about it but it’s a worth spending a day place. 🙂 Gowtham… thanks for your comment man!! Its nice place to visit. Last month visited with my friends for that i Book Bus Tickets through ticketgoose. Useful and informative Blog. 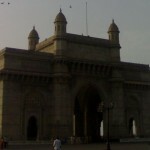 Thanks for sharing about this beautiful places to visit in Mumbai. Keep do more update on this. Definitely you provide useful guide to visit. Really Awesome guidance! Visiting Nagaon this Saturday! 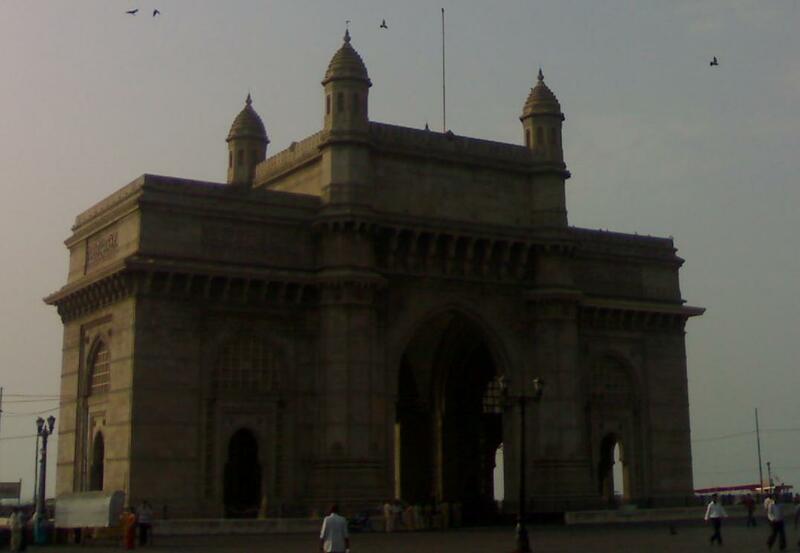 Mumbai has really lot of wonderful weekend gateways. All the places are very well to visit have tourism. You are posting most amazing beautiful nature weekend places near Mumbai. Great post and very interesting. Keep it up. Awesome post. 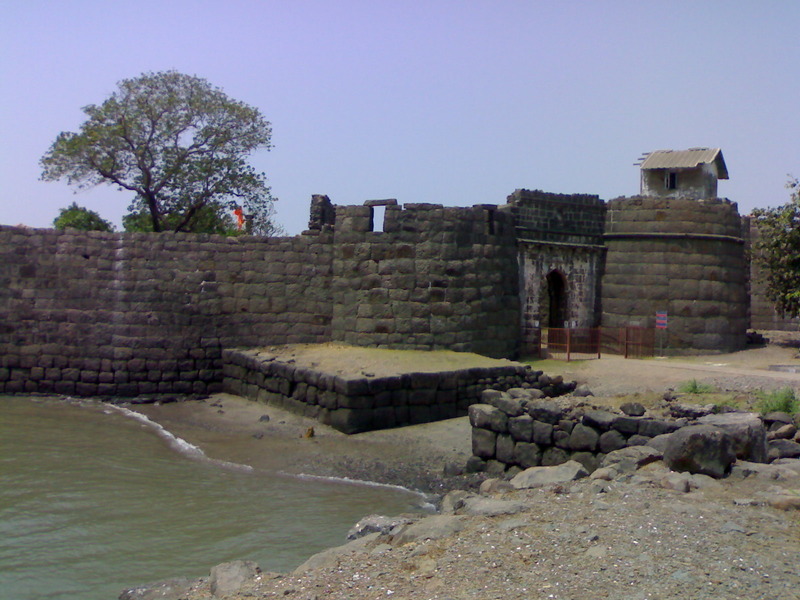 Alibaug is best weekend place to visit in Mumbai. I am also like this place so much. Thank you for providing detailed information about Alibaug. alibag is very beautiful place…from going to winter n monsoon…alibag is my hometown…I like it..
nice post on Alibaug.quite informative.but for traveling you should prefer my best company for car hiring. Alibaug would definitely make a best short time getaway from Mumbai, nice post and descriptions, thank you.